Silla Hotel, one of the biggest hotel in Korea, got in trouble due to the recent incident about regulation on clothing. 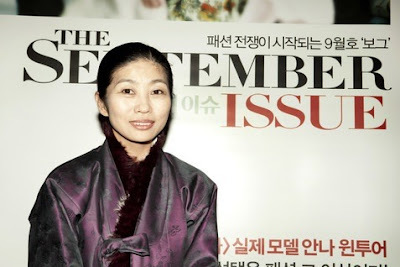 Last week, the most renowned Korean hanbok(Korean traditional clothes) designer, Hye-soon Lee was resisted to enter the conference held in Silla Hotel; because of her outfit. Lee was wearing the traditional Korean dress, hanbok, and when she was entering the conference room in Silla Hotel, an employee stopped her, because hanbok has "danger of causing accidents by tripping legs". Embarrassed by this incident, Lee tweeted about this happening, and the followers re-tweeted this, which eventually caught Silla Hotel in trouble. What fired people's anger toward Silla is that they were found out to let a Japanese women with their traditional clothes, kimono. After this happening, Silla Hotel apologized in public several times, and Bu-jin Lee, Samsung's chairman, Lee's daughter visited Hye-soon Lee to apologize about it(Silla Hotel is one of Samsung's branches). Despite their continuous apologies, people are still upset about Silla's attitude of neglecting the traditional culture.